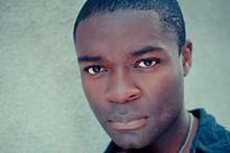 David Oyelowo (pronounced – “oh-yellow-oh”) is a classically-trained stage actor who is working successfully and simultaneously in film, television and theater, and has quickly become one of Hollywood’s most sought-after talents. He was recently nominated for a Golden Globe for his stirring performance as Dr. Martin Luther King, Jr. in the highly-anticipated, civil rights drama Selma. Directed by Ava DuVernay and produced by Oprah Winfrey and Brad Pitt’s Plan B, the film follows the black fight for the right to register to vote culminating in the march from Selma to Montgomery and in President Lyndon Johnson’s signing of the historic Voting Rights Act of 1965. David can currently be seen in Christopher Nolan’s space travel, sci-fi adventure Interstellar and in A Most Violent Year opposite Jessica Chastain and Oscar Isaac. He just wrapped production on Captive, a true-life crime thriller, and will soon co-star in Nina, a biographical drama about Nina Simone (played by Zoe Saldana). A year ago, he co-starred in Lee Daniels’ The Butler, alongside Forest Whitaker, John Cusack, James Marsden and Oprah Winfrey. And in 2012, he was seen in Steven Spielberg’s Oscar-nominated drama Lincoln, with Daniel Day-Lewis, Sally Field and Tommy Lee Jones. Additionally, David starred in the critically-acclaimed independent drama, Middle of Nowhere, also directed by Ava DuVernay, and in Lee Daniels’ The Paperboy, opposite Nicole Kidman, Matthew McConaughey and Zac Efron. His other screen credits include the George Lucas-produced Red Tails, Rise of The Planet of The Apes, The Help, 96 Minutes, The Last King of Scotland and Who Do You Love. David first impressed audiences on the stage when he starred in The Suppliants at the Gate Theatre playing King Palasgus. Next, he played the title role of Henry VI, becoming the first black actor to play an English king for the Royal Shakespeare Company. David Oyelowo: My pleasure, Kam. How are you? KW: I’m great! Congratulations on the announcement of Golden Globe nominations for you and Ava DuVernay. DO: Yes, that was a very, very nice moment for us. I’m particularly proud of her. When you look at that list of directors she’s in the company of, it’s pretty extraordinary to think that she’s only been directing for five years, and that she’s the first black woman to be afforded this honor. So, we’re really, really happy, particularly when it comes to her. KW: Environmental activist Grace Sinden says: You have had a very successful and varied career but your role portraying Martin Luther King in Selma must have been an extraordinary experience. I have only seen the trailer online and was deeply moved by your performance. How emotional an experience was portraying Dr. King for you? DO: It was a deeply-emotional experience for numerous reasons, not the least of it being that the film had been very hard to get off the ground. So, there were several times when I had to pinch myself about the fact that we were actually getting it made. When you reflect upon the significance of Dr. King to this nation, it’s criminal that he hasn’t had a feature film that was centered around him until now. That, in and of itself, was emotional. But when you’re doing scenes on the Edmund Pettus Bridge, with people still living in Selma and now in their 60s and 70s who had actually marched, who were there that original Bloody Sunday, that’s humbling… that’s deeply moving. You’re no longer acting at that stage, you’re just reacting, because it takes the filmmaking process to another dimension. So, yes it was an intensely emotional shoot, but also an intensely joyful shoot, since we really felt we were paying honor and doing service to these great men and women who had participated. KW: Rel Dowdell, Patricia Turnier and Sangeetha Subramanian all ask: How did you prepare for your definitive performance as the iconic Dr. Martin Luther King? DO: Even though the journey towards doing it was long and at times frustrating, one of the good by-products of its taking awhile was that I had time to really study King, to study his movements. I also had the God-given opportunity to be in films like Lincoln, The Help, The Butler and Red Tails, films that look at the black experience in this country over the past 150 years. So, I had this historical education going on before stepping into this role. All of those things, combined with talking to Dr. King’s children, and spending a lot of time with Andrew Young who, of course, knew him intimately, were all elements that helped me immeasurably get to where I got. KW: Harriet Pakula-Teweles asks: How does an actor faithfully embody an historical figure without simply presenting another newsreel portrayal? DO: Well, I think the way you do that is by focusing on what’s behind the newsreels. If you merely focus on what we already know, then it’s not revelatory. You may as well just go and watch a documentary or a few videos on Youtube, and you’re good. What I had to do was go and find the guy who is the father, the friend, the man who was unsure, the man who needed friends around him in order to be able to keep on going. What does a moment where he’s home alone with his wife feel like? What does a moment where he’s just completely on his own feel like? To show what he’s like when he’s quiet, as opposed to when he’s giving a speech are things that I think are absolutely necessary in order for an audience to feel like they’re seeing a side of this historical figure that they didn’t know before. KW: David Roth asks: What was it like collaborating with director Ava DuVernay again? Did it make a difference that you’d worked with her before? DO: Well, in what I do for a living, trust and confidence are key. Inevitably, you can’t make brave choices and do your best work, if you don’t have those, because it’s such a subjective art form, and you don’t have eyes on yourself. Having done Middle of Nowhere with Ava, I had found someone I deeply trust, not just as a human being, but in terms of her creative and artistic vision. And in playing a role as exposing as Dr. King, you want someone leading you that you implicitly trust. That was one of the blessings of working with Ava again on this. And not only do I trust her as a person, but I think her ability as a director is world class. She’s as good as anyone I’ve worked with before, and that’s something that instills confidence. KW: Chandra McQueen says: Your performance in Selma was remarkable. We saw the human and iconic side of Dr. Martin Luther King Jr. in your performance. Was there anything that surprised you, something new that you discovered about Dr. King, while studying for the role? DO: I think what a lot of people don’t realize is how much being the leader of this movement weighed upon him. After all, he was only 39 years-old when he was assassinated, and only 36 during the Selma campaign. He always seemed older than he actually was, and I believe part of that had to do with just how much life he had to live in order to lead this movement. He was away from home 28 days of any given month. He was a voice for the voiceless and had so many people relying upon him. As a result, that made for a man who, to be perfectly frank, had lived two lifetimes by the time he was killed. That was something I felt in the playing of it. I don’t think I could have done what he did. That was quite extraordinary. KW: Well, you made history in your own right with your performance as Henry VI when you were the first black actor to play an English king with the Royal Shakespeare Company. How did that accomplishment feel? DO: It felt great, because I was glad to be the one to break the deadlock. Yet, it was bittersweet because, like Ava says of her Golden Globe nomination, even though I was the first to be afforded the honor, I’m sure I wasn’t the first black person deserving of that honor. So, it’s something to be proud of, but we’re keen to move on from the first and to be an undeniable part of the conversation going forward. KW: Thanks again for the time, David. DO: Thanks so much, Kam, and have a good day.